The spacious saloon is divided into the L-shaped settee and low-slung coffee table on the port side; and the galley equipped with dishwasher, cooker, microwave and a large fridge all settled within the island counter. Five couples could be accommodated in five double cabins – three in the port hull and fore and aft in the starboard hull. Each of these double cabins is equipped with private heads and showers while the access to them is provided by fore and aft companionways in each hull, ensuring the maximum privacy of each cabin. Captain’s single cabin is situated amidships to the starboard while two remaining cabins for the rest of the crew are situated in bows of both hulls. The six cabin version works well for charter companies while luxury owners prefer the layout with the huge cabin with separate head and shower, aft in the port hull, with a guest cabin forward. 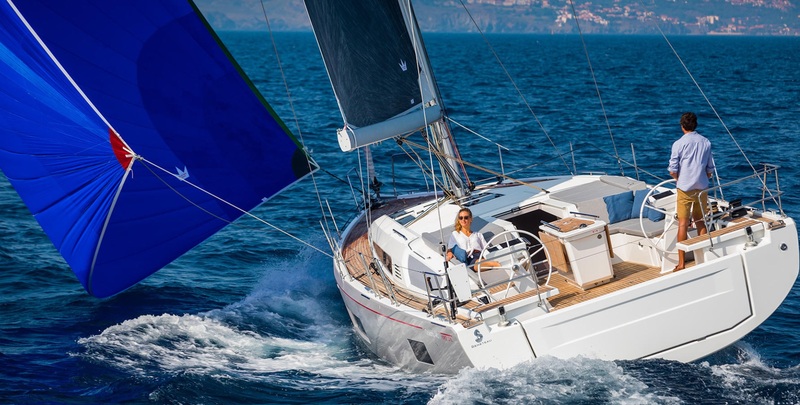 All who sailed the previous Fontaine Pajot flagship Eleutera 60 will be interested in sailing performances of Sanya 57. It is true that Eleutera 60 gains hard-to-get sailing performances, but Sanya 57 can also sail fast enough to beat the competitors in the category. 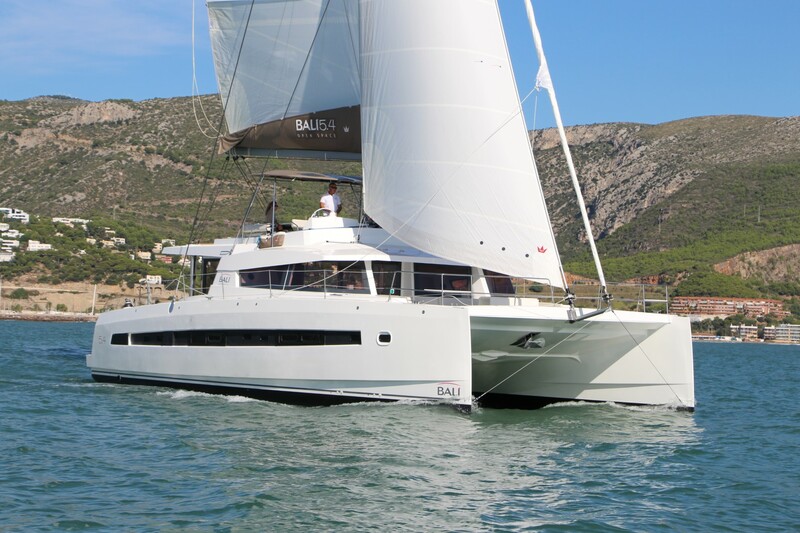 In addition to her full batten sails, Fountaine Pajot Sanya 57 is equipped with twin 75 HP Volvo engines, while the 110 HP version is optional. The skipper has a clear access to all important switches while all lines are operated from his position. The ropes and sailing gear are hidden in nacelle in order to gain comfort at the deck. Both 12- and 24-volt circuits powering Sanya 57’s systems are supported by mighty batteries which are being charged by engines and/or four 170-watt solar panels incorporated into the bimini. Whether you would like to hire or own this baby, cruising Sanya 57 leaves unforgettable memories! 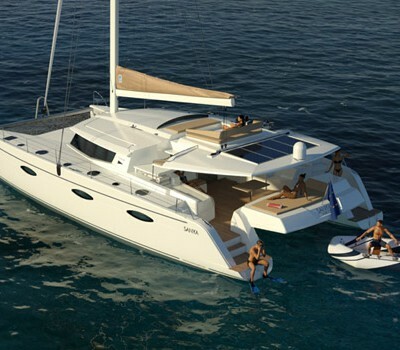 If you have decided to charter a catamaran, we recommend you visit Sailing Catamaran Yachts website and see how to select one, what are the characteristics of sailing a catamaran and what are the top charter spots when renting a catamaran.